Our school celebrated the 67th anniversary of the making of the Constitution on 26 January, 2016. National Flag, our pride , was hoisted with full honour and respect in the school ground. 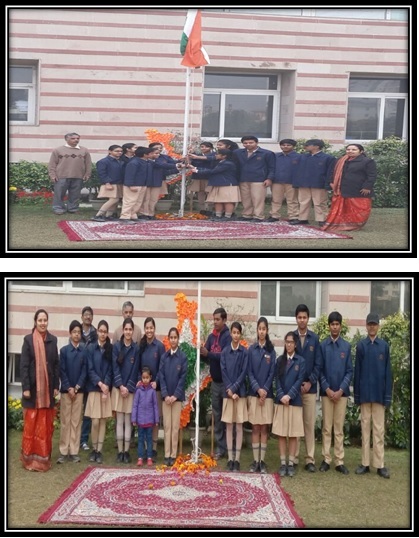 The students paid floral tribute and sand National Anthem.